ARC is a consultant company specializing in the Motorcycle/ATV Industry. We provide clients with marketing analyses in several key areas, including: Customer Demographics, Sales Potential and Forecasts, Market Share analysis, Sales Territory Alignment, Dealer Market Area Definition, and Dealer Network Optimization. Our company has been servicing clients for over 25 years and has specialized knowledge of the Motorcycle/ATV industry. 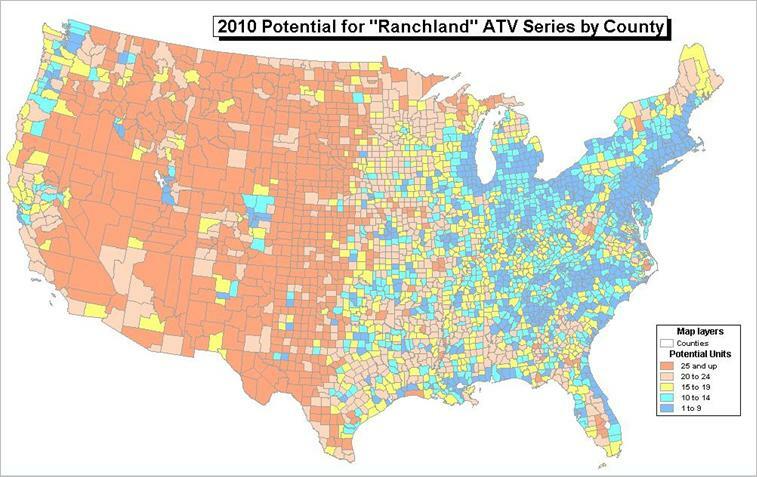 ARC has also assisted clients in designing and implementing software systems to manage Dealer Territory Networks, perform Market Studies, analyze Models and Segments, and provide advanced Market Share reporting. This website explains the types of services we provide to clients. Contact us by phone or email to discuss your project needs and requirements. Understanding your customer demographics is a fundamental basis for marketing analysis. Knowing the demographics of your customers allows you to evaluate the size of your customer base, find where more customers are, and how best to reach them. ARC goes beyond traditional methods, using advanced marketing science to analyze customer profiles. Dealer networks change over time, expanding or contracting depending on market and economic conditions. Analyzing the impact of terminations, relocations, and new sites on the network is critical to optimizing network strategy. Sales Potential is used to determine how much sales a market has to offer. This is not simply the current value of sales in the market, but a measure of what the market should be able to provide. If a market has lots of potential, sales efforts can be made to address that market, possibly including setting up a new dealer there, or more advertising efforts directed to it. 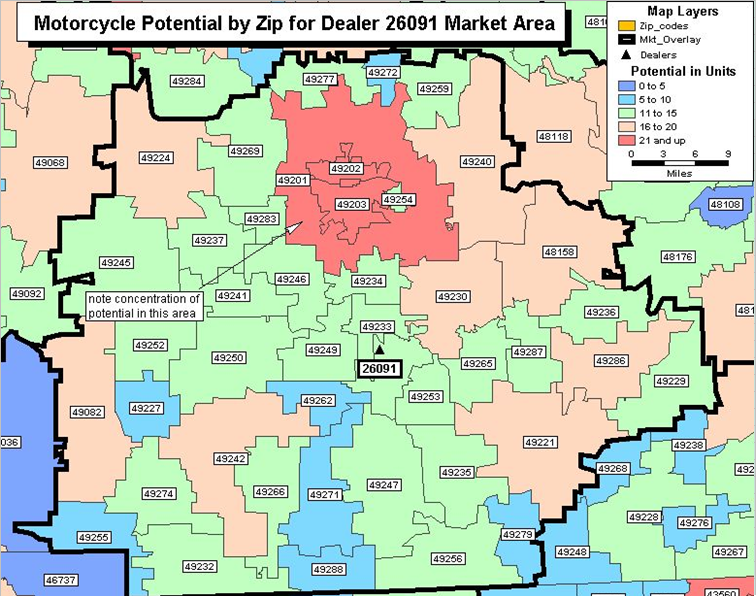 We have assisted clients in designing and installing specialized Motorcycle analytics and business intelligence systems to analyze MIC market share data, map sales potential, and maintain dealer territory network databases. We are currently developing several new analytical tools that will be available to clients soon. 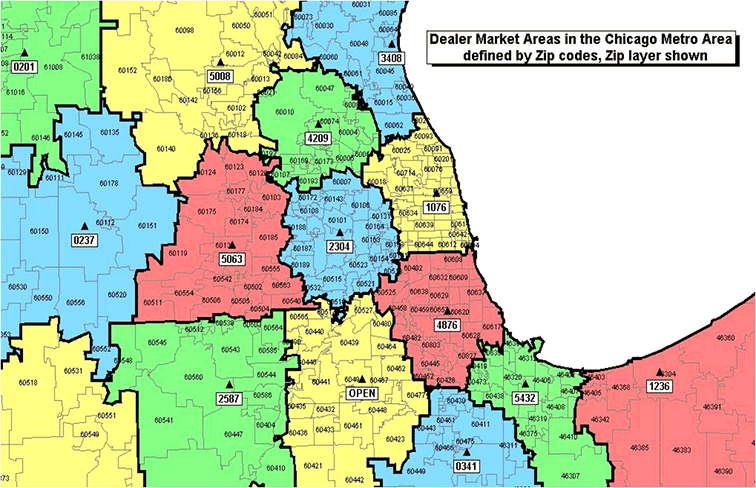 Defining individual Dealer Market Areas for every dealer in your network provides a basis for analyzing dealer market share, sales performance, cross-sell, and site placement.